This time in five lines or less. I read a couple of books over break, but I also bit the bullet and bought an Audible subscription. Basically, you pay for credits, credits can be traded for books, most books are one credit. I got the two credit subscription because I listen to audiobooks so fast. I'm not schilling for Audible (unlike some of my favorite podcasts), but they have markedly improved since their inception and they're much easier to work with since being bought up by Amazon. Anyway, on to the reviews. All cover images courtesy of Amazon. 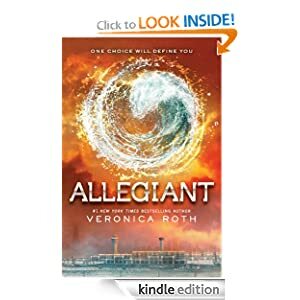 Review: The final chapter in the Divergent trilogy. We pick up with Tris and Four as they revealed the truth about the factions, that when there are enough Divergents they should leave the city. Four's mother, the leader of the Divergent makes things difficult. As Tris and Four escape, the truth they find on the outside is enough to shatter their whole world again. A good end to the trilogy, it nicely wraps up all the loose ends. Good for my library: yes, although it did feature one allusion to adult situations (and much talking about kissing, too much really). road trip along Route 312, the longest highway route in the world's most populated country. 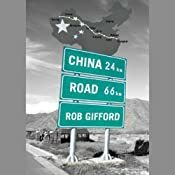 Gilford weaves stories of his journey with history as he discusses the future of China. Equal parts hope and doubt as we wait to see what the powerhouse nation will become. Narrator Review: I really struggled with Vance's accent. Several times I had to go back and listen to the story again because I had missed major points. I wonder why Gilford didn't just record it himself, considering he was a radio journalist. Good for my library: maybe for the older kids, although they would need to have a more basic version of Chinese history before they delved into this discussion. Review: Leo Demidov is a stalwart member of Stalin's State Security Force in 1950's Soviet Russia. When he comes into contact with a murderer who the state won't even admit exists, he questions his purpose and is forced to come to terms with who he is fighting for. 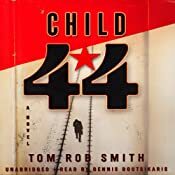 Smith's depiction of Soviet Russia is horrifying and poignant. He is able to paint a portrait of the world and recreate the absolute moral degradation that Stalin encouraged. Narrator Review: Boutsikaris incorporates an excellent Russian accent. His narration does tend to be a bit flat at times, but really shines when there is heavy dialogue. Good for my library: No, mostly because it's such a niche topic and you would really need to have a firm understanding of Soviet history to help create the background for where and when the novel takes place. Review: After the death of Stalin, the Soviet Union had to come to terms with the actions of their former leader. The so-called Secret Speech of Nikita Khruchev dissolved Stalin's State Security Force and put all former members in the crosshairs of citizens who had been punished on trumped-up charges and fabricated confessions. Leo Demidov's past comes to haunt him and he must travel from Moscow, to the Siberian Gulags, to the Hungarian revolution to help save his family and pay for the crimes of his previous life. 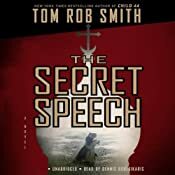 Smith again crafts the world of the Soviet Union, this time in flux as their current leader completely denounces the leadership of the past. Title: Avoid Working on the Great Wall of China! Review: Life during the Ming Dynasty was difficult. Either you paid your taxes to the emperor, or you were sent to work on his great wall. When you got there, you usually worked until your debt was paid off, then continued to live there because you could never afford to get back home or worked until you died and were buried in the foundations of the wall. This colorful graphic novel explores life as a farmer during one of the great ancient eras, even capturing the horror of life, although in a lightened tone. 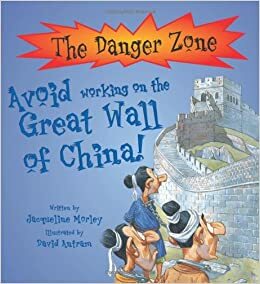 Good for my library: yes, I would aim this at grades 4-6, since it contains reference to the general horrific death and slave labor that built the Great Wall. One of the perks of being in Thailand was finally going to see several movies. Amongst these were two movies based on popular books, The Hobbit: The Desolation of Smaug and The Hunger Games: Catching Fire. * The former, while a good movie in its own right, was a terrible adaptation of the book. The latter, was both a good movie, and an excellent adaptation. It got me thinking about making movies from books and how difficult it is to get the tone and story right. The upcoming year brings us several adaptations of YA fiction. First up is Divergent based on the novel of the same name by Veronica Roth. This is one of my favorite science fiction YA series. It also features a female action hero. Also, Kate Winslet, who is highly watchable in any movie (even Revolutionary Road, which was a terribly depressing movie). That being said, I think the movie looks terrible. The one scene that has been released makes it look like a mope-y Twilight rip-off, with the lead characters making googley-eyes at each other and finds a reason to get the male lead to strip off his shirt (an amazing feat in a less than two minute clip). Even the thumbnail of the video is a picture of his bare back. I don't care if the scene was in the book (which, I don't think it was, but it has been a while since I read the first one), it comes off as contrived. Let's get that bad taste out of our mouth. The next in line is an adaptation of the amazing novel The Fault in our Stars by John Green. The movie doesn't have a trailer yet, but a poster was recently released, which caused quite a ruckus because of its tagline "One sick love story." I am trying to temper my hopes for this adaptation. I think it has the potential of being amazing, but I don't want to get too excited and have a letdown of Ender's Game proportion. Shailene Woodley, who also plays the main character in Divergent, is a great actress (if you haven't seen The Descendants you really should). The director is relatively unknown, which is sometimes a good thing because they're not set in their ways yet, but also bad because they feel like they have to prove themselves to the studio. The third that I'll mention here is The Giver, which is being released in August. We've been waiting for an adaptation of the novel by Lois Lowry since it was released 21 years ago, but I never really thought this would be a film-able/watchable movie, so much of the book takes place inside the main character's head. If you haven't read it, I'm going to spoil a main plot point right now. The book was life changing for me when I first read it. I very clearly remember the moment I realized they didn't have color in their world. Even now, thinking about it, I get chills. I'm not really sure how that will play out in the movie, will it be a Pleasantville-type situation where they're all black and white and then color starts appearing? I have high hopes for the movie, because it features Jeff Bridges as the Giver. On the other hand, it also has Meryl Streep, who I really can't stand. Don't try and convince me she's great, I realize it's irrational for me to dislike her, she is such a great actress. I am interested in the movie, but I'm hesitant, because the book was such a touchstone during my adolescent turmoil. I was going to finish by listing the other movies, but I found a Buzzfeed article that did it better. *I also saw Frozen (good, although not necessary for it to be a musical), American Hustle (I felt decidedly meh about this movie, except for Jennifer Lawrence, who should play manic more often), and Captain Phillips (which I realize is based on a book, but doesn't really apply to my arguments in this post).